Tathra Brigade are in an envious position - the public donate generously to make sure we are able to procure the equipment we need. Tonnes of thanks from a most appreciative Brigade. 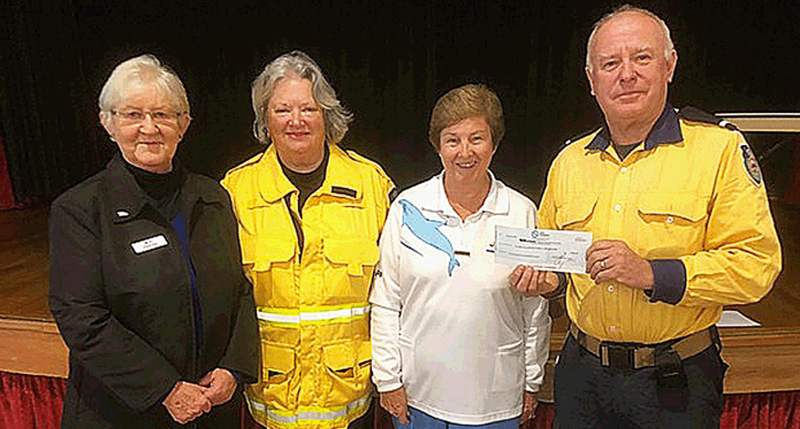 The Merimbula Ladies Bowling Group have recently held a charity bowling day and the ladies preference was for funds to go to the Tathra RFS Brigade for some kind of equipment, etc, that would assist us protect the community. The Brigade is extremely thankful for their efforts and we were presented with a cheque for $2500.00. This will go a long way in providing the Brigade with new handheld UHF radios. Again, thanks ladies and thanks to the wider community for your continued support. Joe and Quyen of Tathra Bakery and Café have kindly donated $1400 after committing to donate $1 from each pie sold and 50cents from each coffee for the Month of May. There was a total of 837 pies and 983 coffees consumed. Thanks to everyone that helped support the local business as well as supporting the local brigade. Joe and Quyen also had a donation tin on the counter for the brigade, the good people who donated raised a further $366. Thanks very much to Joe and Queyn, do yourself a favour and call in for a coffee and pie. A group of bikers from Canberra made the scenic trip to Tathra to donate a generous collection from the Canberra and Queanbeyan public. Roy Fisher was responsible for the idea, supported by Sue Hiltunen, Kurt Gardiner and Roy, Mark, Ken and David Fisher. Over $200 was collected. 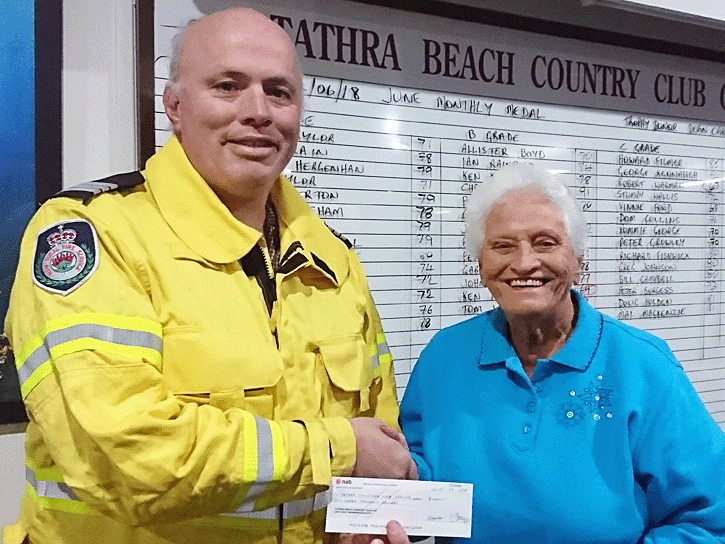 Tathra Brigade are still overwhelmed by the generosity of the public. A big thank you to all.